The situation must be said to have been desperate from the very beginning, as the number of Yorkist forces varies between” a few hundred” and 9 000, and most likely the latter number is over-estimated. The Lancaster army consisted of around 18 000 men. After the battle York reaffirmed his loyalty to the king, but the peace was shaky, and in 1559 hostilities once again broke out, resulting in what was called the battle of Ludford in which York´s army practically fell apart, not least after his commander Andrew Trollope defected. This made York and his supporters the Earl of Salisbury and the latter’s son the Earl of Warwick (later known as Warwick the Kingmaker) abandon their men and fell abroad, York to Ireland and Salisbury, Warwick and York´s son Edward, Earl of March (future Edward IV) fled to Calais where Warwick was Constable. 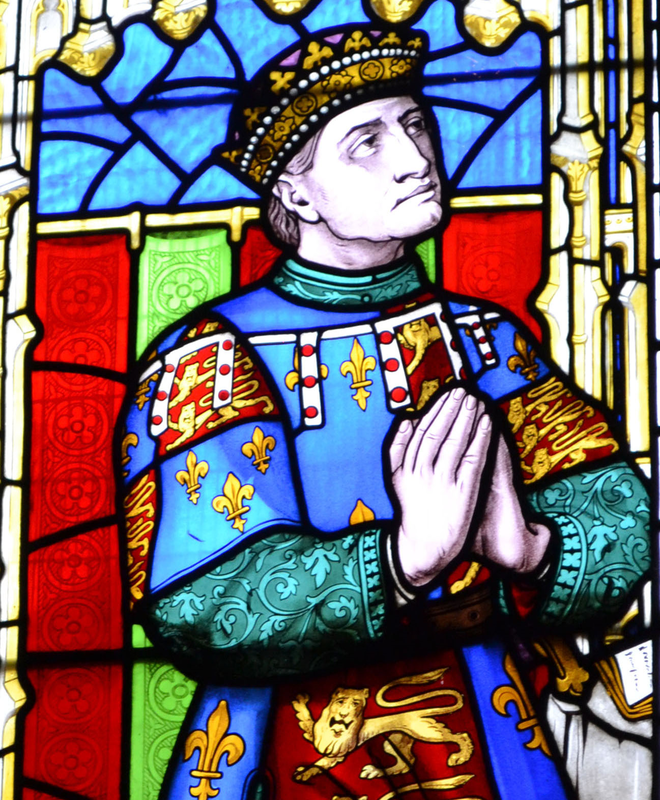 When they all returned a year later, Richard of York after the rest, they soon took charge of London and the south of England, as well as took Henry as a captive at the Battle of Northampton July 10th. York tried to claim the throne, but this was not well received among the other nobles. Instead he managed to persuade the captive Henry VI to disinherit his own son and make York himself his heir. With her husband a captive, Henry´s wife Margaret of Anjou was on the run with her 7-year old son, angered not least by the prospect of her son´s future crown ending up on the head of York or one of his sons. 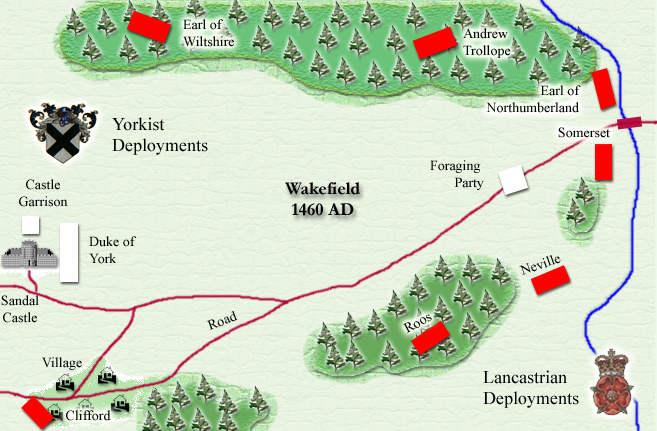 It was her forces the Yorkist troops would be meeting at the battle of Wakefield. 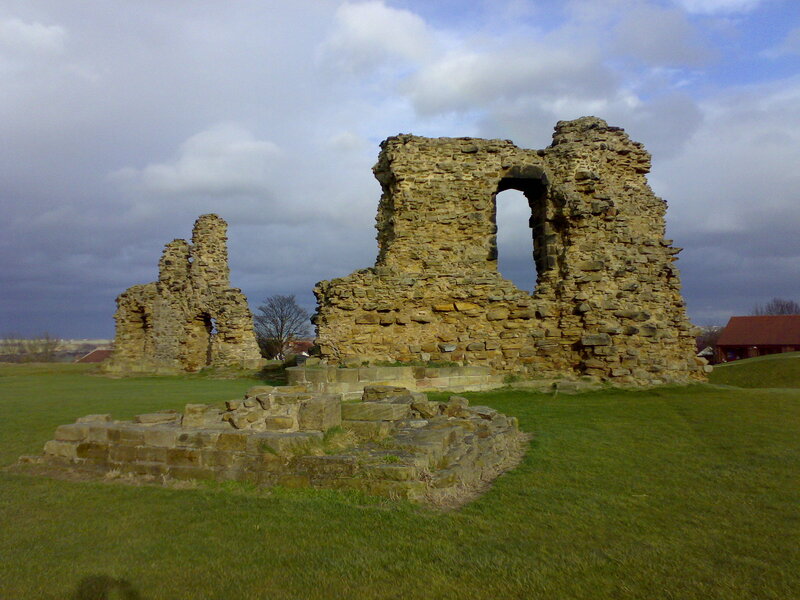 .On December 21 York reached Sandal Castle near Wakefield. He sent scouts to Lancaster´s camp at Pontefract 14 kilometres to the east, but those were sent away. He also sent for assistance from his son Edward (the future Edward IV) who was on the border regions to Wales, but before any additional soldiers could arrive, York left his castle on December 30. There are several theories as to why he made the decision to do so, one of which is that he only saw parts of Lancaster´s army closing up on the castle while the majority of them was hiding. Yet another theory is that a small group Lancastrians made their way to the castle under a false banner, making York think that it was the reinforcements that arrived. A third theory is that both armies had come to an agreement on which day the battle would take place; January 6, but that the Lancaster army broke the agreement. Regardless of what the explanation was, York´s army didn´t stand a chance. 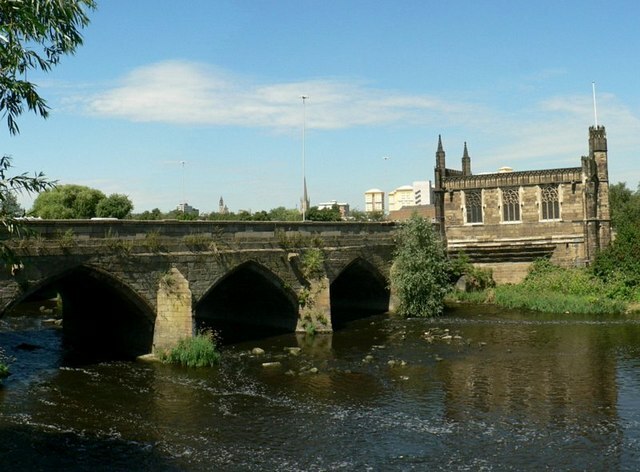 Richard of York died in the battle while his son Edmund, Earl of Rutland, supposedly tried to flee over the Wakefield bridge where he was apprehended and murdered. Totally Lancaster´s army allegedly lost 200 men, while the death toll on the Yorkist side is believed to have been around 2 500 men. The heads of York, Rutland and their ally, the Earl of Salisbury was placed over Micklebar Gate, the west entrance to the city of York, and their bodies buried at Pontefract. 16 years later, when Edward IV had ascended to the throne, York and Rutland were reburied in the family castle of Fotheringhay. ← Will someone rid me of this turbulent priest? Usch ja, det här vill man ju bara glömma. Jag hade Micklegate Bar mitt emellan mitt hem och kontoret och kunde inte gå igenom den en enda dag utan att tänka på de där huvudena. Riktigt vidrigt! Jag brukar tänka på det också när man läser om hur det satt huvuden på London Brigde bland annat, inte bara det groteska i det hela, men vilken stank det måste ha varit! Du har bott i York alltså? Är det värt ett besök? Ja verkligen! Du kan läsa vad jag skrev på Hallins reseblogg där jag faktiskt skickade med en regnig kväll på Micklegate som bild.